← 2105: Happy Birthday Nelly! 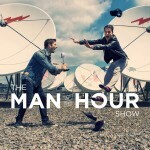 This entry was posted in Podcast and tagged Man Of The Hour, MOTH, Nintendo, Patrick Langlois, SÃ©bastien Lefebvre. Bookmark the permalink.